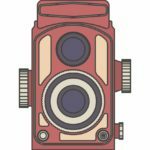 Join historian, Janet Pavlik of Deep Cove Heritage Society on a guided tour of the 18 neighbourhoods of the Seymour area. Gain insight on how the community has developed over the years. Then enjoy a complimentary lunch at Stong’s Northwood Village. Bus tour is Tuesday, April 16, 2019 from 10:00am to 2:00pm. Meet in the lobby of Parkgate Community Centre. Tickets are $20, barcode is 412490. This event is in partnership with Seymour Seniors Action Table and Deep Cove Heritage Society. Space is limited; registration is first come first served basis. 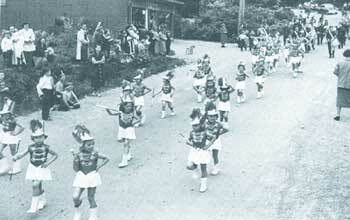 If you have a copy of our book of community history, Echoes Across Seymour, please bring it with you. Call Parkgate’s front office at 604-983-6350 to register. Come out and see us for this fun filled evening that includes, snacks, a silent auction and a performance of the hilarious comedy Duets (presented by First Impressions Theatre). Duets is a tribute to the strength and madness of the human heart — a funny examination of the chaotic world of love, relationships, and why the grass is never greener. Watch the comic team that brought you last seasons’ hugely successful On A First Name Basis re-ignite that stage each playing four, count em four, sets of characters, at four crucially hilarious moments. Get your tickets now, seating is limited — call the office at 604-929-5744 to order yours today! 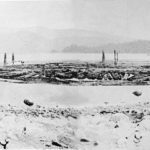 Former Belcarra Mayor and historian, Ralph Drew has compiled some Brief Histories of Indian Arm. 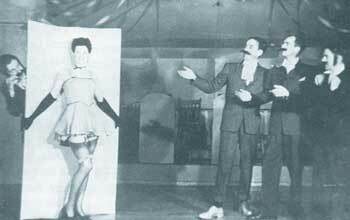 You can find them under the Brief Histories tab at the top of this page. Indian Arm stretches approximately 20 kilometers (12 miles) north of Burrard Inlet and is part of the Tsleil-Waututh Nation’s traditional territory. Flanked on the east side by Belcarra and the west by the District of North Vancouver. Further north, beyond Silver Falls, it becomes wilderness crown land. The historical Wigwam Inn sits at the north end of the Arm; the building now owned by the Vancouver Yacht Club is used as an outpost for its members. 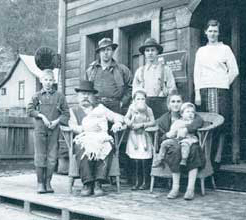 The Deep Cove Heritage Society’s collections encompass 18-communities — from Maplewood and Mount Seymour, to Deep Cove as well as all of the communities along the west shore of Indian Arm. 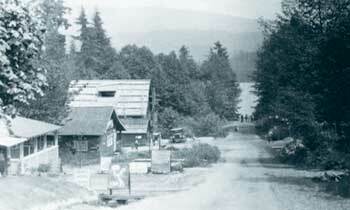 The east shore, Belcarra, is the home of historian and mayor, Ralph Drew. 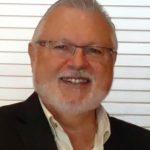 He is the author of three very comprehensive, award winning books. These are of great interest to us of course, since we share the history of Indian Arm. Information about these books can be found under the Other Local Interest Books tab at top of this page. 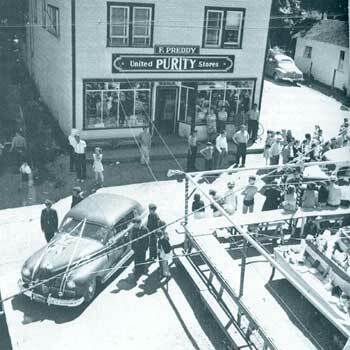 Mayor Drew has given us permission to put his Brief Histories on our website (see tab at top of this page) for you to enjoy. We thank him for his generosity. 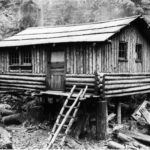 Come join Alex Douglas (aka Uncle Al), Mt Seymour History Project Archivist, 40 year Mt Seymour Employee, cabin resident and all around mountain man for a hike back in time. Search the forest for cabin sites and remnants, find some that are still standing, and hear amazing stories of fun and ingenuity on the mountain. 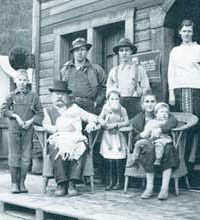 Photo DCHS #1880 – Donna Leighton’s family’s first Cabin on First Lake, late 1930s. 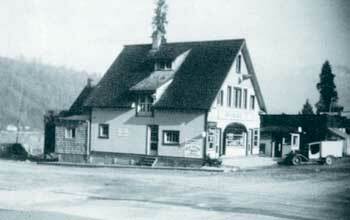 For more information: Mount Seymour History Project. Following are some items of interest you can do on your computer without leaving home. 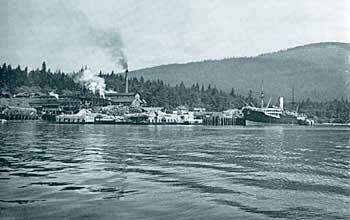 Photo at left is DCHS #0059 showing a log boom in Deep Cove in the early 1900s. Photo courtesy of Mr. & Mrs. John Moore (click on photo to enlarge). 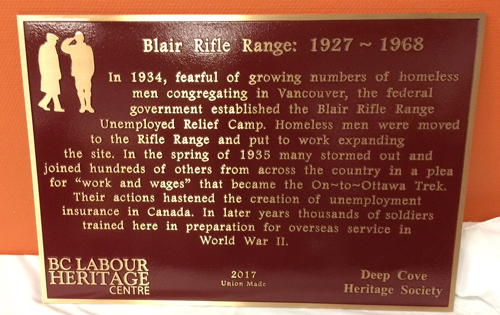 Donna Sacuto unveiled the plaque that has been installed on Mount Seymour Parkway to recognize the history of the Blair Rifle Range. The plaque is the result of a research paper that Donna wrote. You can read the paper by clicking here. Our friend and neighbour, Mayor Ralph Drew of Belcarra, has written two impressive books – Forest & Fjord: The History of Belcarra (pub. 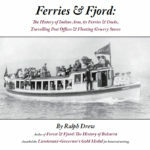 2013, 536 pages) and Ferries & Fjord: The History of Indian Arm, its Ferries & Docks, Travelling Post Offices & Floating Grocery Stores (pub 2015, 372 pages). Both books are available from the author as well as from our office. Mayor Drew was the guest speaker at a Deep Cove Heritage meeting and, as well, was a commentator on our tours up Indian Arm last year and he will be onboard with us again this year. 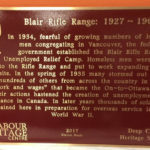 He recently gave a talk to the Vancouver Historical Society and we thank the Society and Mayor Ralph Drew for allowing us to post the link of that talk here. 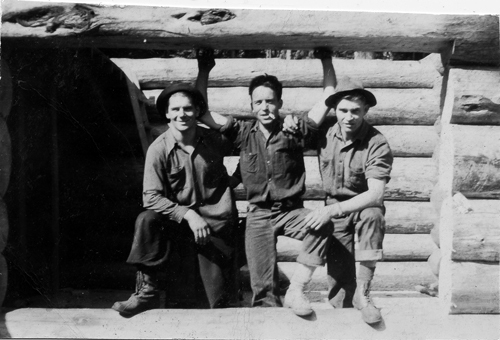 Deep Cove Heritage member Ross Regan built his cabin on Mount Seymour in 1948. You can hear Ross’ commentary and watch it being built with this wonderful series of photos. Click on photo at left to enlarge. 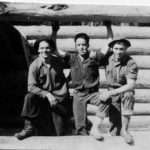 DCHS #4793 – Building Gods Lil Acre, Mount Seymour Ski Cabin, 1948. Photo courtesy Ross Regan. Clicking the camera graphic at left will take you to explore Random Images – you can easily do searches by clicking the tabs under the Deep Cove Heritage banner. More photos will be online soon! 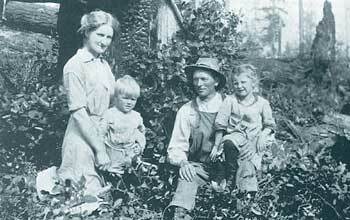 Deep Cove Heritage Society needs your help and support in preserving our rich history of Deep Cove and the surrounding area of Seymour. The DCHS was established first and foremost for the public, be it general interest or research purposes. It was established in 1985 by a dedicated group of volunteers, many of whom are still with us today. The Heritage would not be able to survive without it’s volunteers. We are calling on the next generation to volunteer their time in order to keep the Heritage going. It is a great way to connect to the community and learn about our local history. Click on image to read entire newsletter. 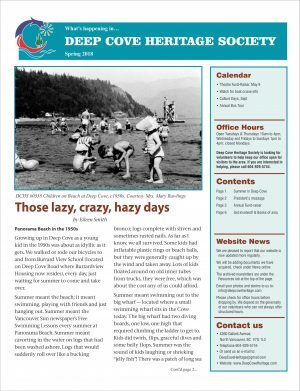 Our newsletters are online – to view our entire collection of newsletters click on RESOURCES tab top right of this screen; and choose NEWSLETTERS from the drop down list. On the Newsletters page, click on the blue text under each heading to open the pdf document which can be read on screen or downloaded and printed. We have the full index for our first book, Echoes Across the Inlet, published in 1989 online. It is a pdf file that can be read online or downloaded, printed and tucked into your copy of the book. Click on the BOOKS tab at the top of this screen and choose BOOK INDEX from the dropdown list. We have several books, including our own Echoes Across Seymour and Echoes Across the Inlet for sale in the office. As well we have our neighbour Ralph Drew’s books, Forest & Fjord: The History of Belcarra and Ferries & Fjord: The History of Indian Arm. And we have Deep Cove Heritage tote bags that are roomy and sturdy enough to carry all your books home. 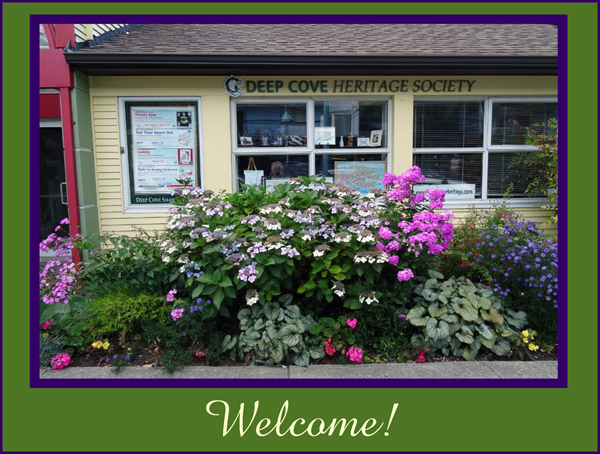 The Deep Cove Heritage Society office is located in the Deep Cove Cultural Centre. Echoes Across Seymour and Echoes Across the Inlet book information – click on “Books” at top of this page. 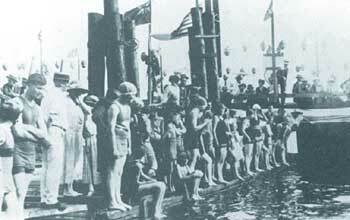 Copyright © 2012 Deep Cove Heritage Society. All Rights Reserved.